Our Electrical & Electronic Engineering degrees cover the scientific concepts, design and methods relating to electrical and electronic engineering products, processes and systems. 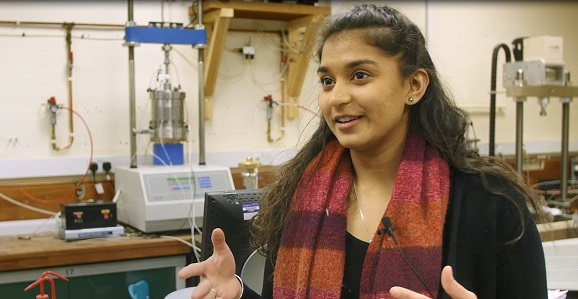 For the first four terms of the degree programme students follow a multidisciplinary route into engineering, with modules covering the core areas of the subject, including electrical and electronic engineering topics. Specialisation starts in term two of the second year, with Electrical & Electronic Engineering students following the same second year degree programme as those on the Electronic Engineering course. In third and fourth year, Electrical & Electronic Engineering students focus on power electronics, electrical machines, systems modelling and the operation and control of power systems. Modules in these areas reflect our key research areas including power electronics, communications, embedded systems, ASICs and silicon-based smart sensors. Practical work in electrical and electronic engineering begins in the first year, with the third-year individual project forming a major part of the course. Our newly refurbished, state-of-the-art laboratories are equipped with software and instruments to support the varied teaching activities in electrical and electronic engineering. Electrical and Electronic Engineering graduates contribute to a variety of sectors and industries such as power electronics, electrical power generation, aerospace, automotive, marine engineering and the built environment. Our Industrial Advisory Panel ensures our courses provide you with the skills and knowledge required to succeed in industry when you graduate. Our recently introduced Electrical and Electronic Engineering degree differs from the Electronic degree through its emphasis on Machines, Power Systems and Control.